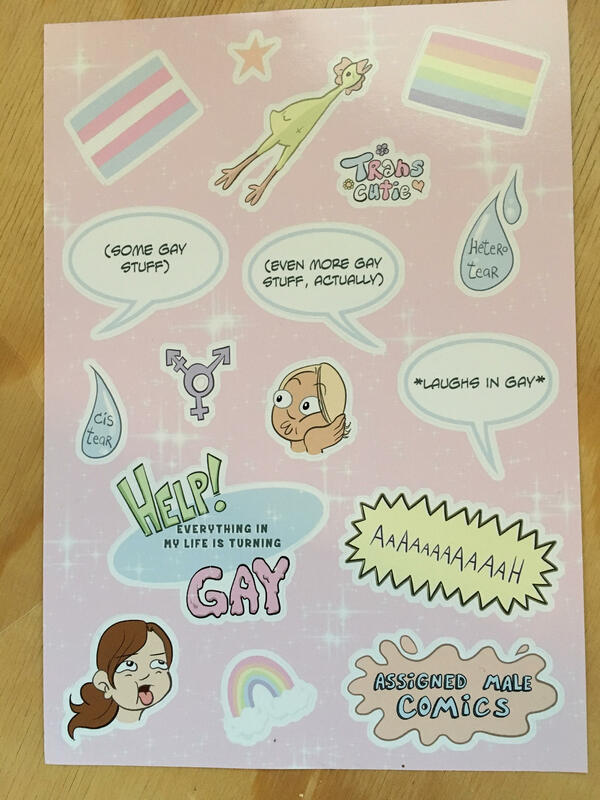 Experience the DREAMY Assigned Male Sticker sheet!! 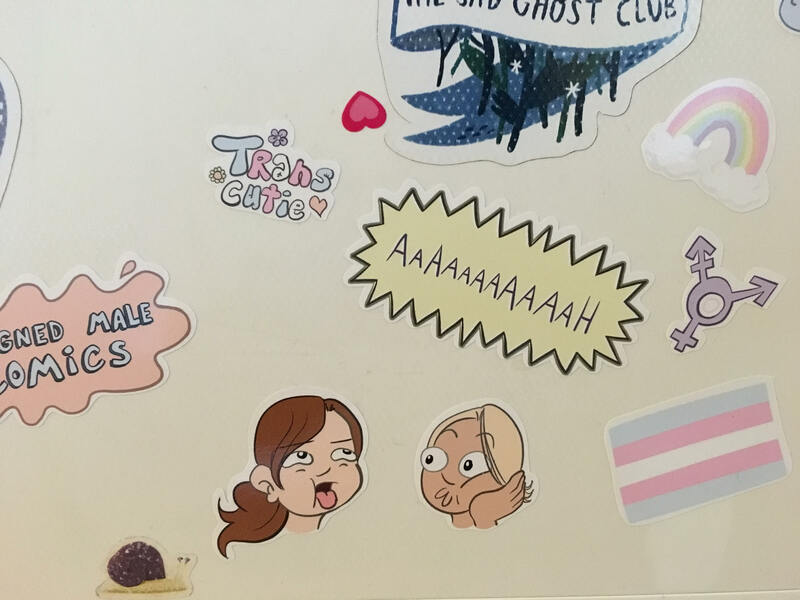 It's made with fancy vinyl A5 sticker sheets and contains 17 stickers to put on all your favourite stuff (pets might react awkwardly to it, though). 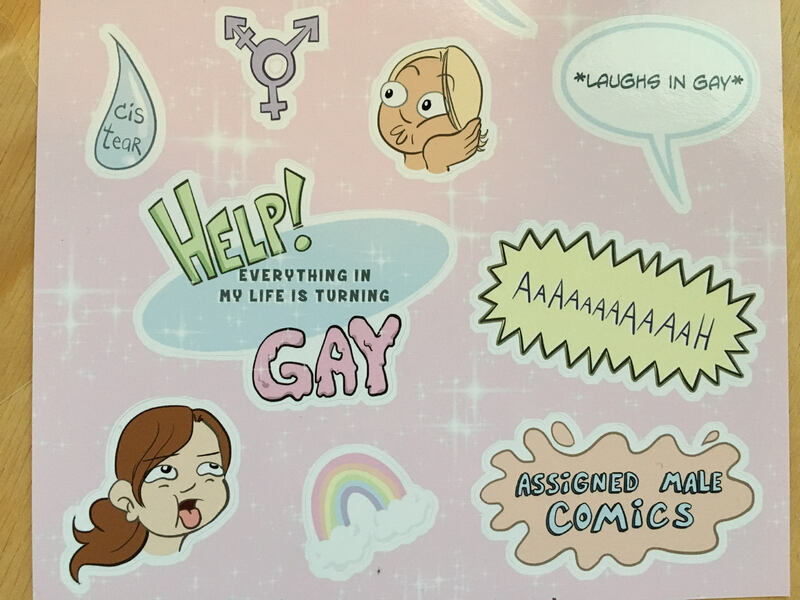 From the trans and queer webcomic Assigned Male, by Sophie Labelle. 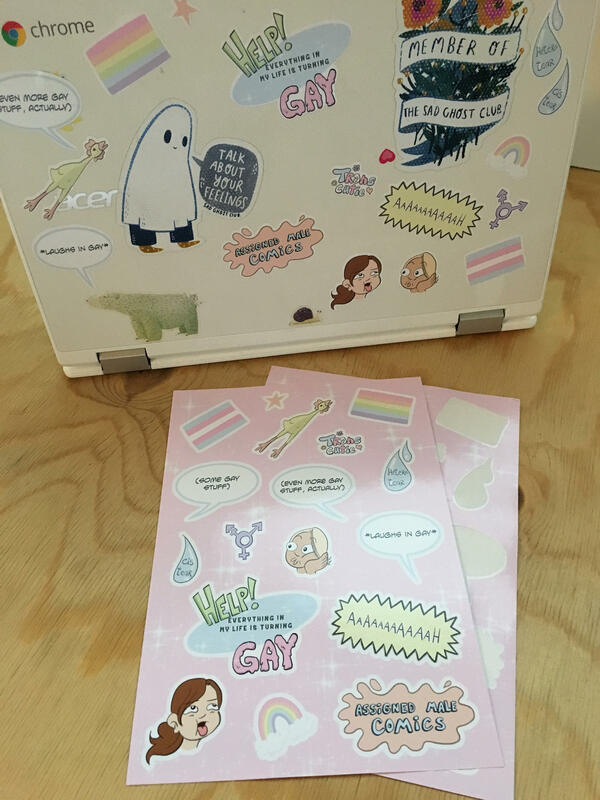 Sticker sheet is bigger than I imagined! Good quality printing. Looking forward to giving these to my bb trans nibling. Communicative seller. Thank you! Love them. 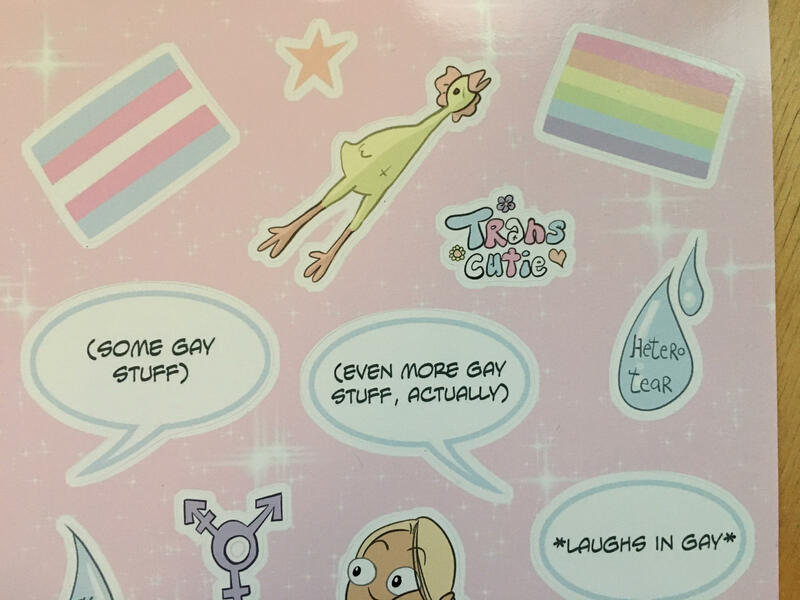 The designs are very thought out and the stickers themselves look heavy duty and should stay on whatever you want to stick them on.